So, you’ve decided to add a theatre system in your home unit collections. Great! When purchased the right item, the enjoyment and satisfaction watching imagery and listening to high-quality sound are completely guaranteed. But, how to get started? Well, we’ll tell you exactly how in our guide for the best home theatres in India. 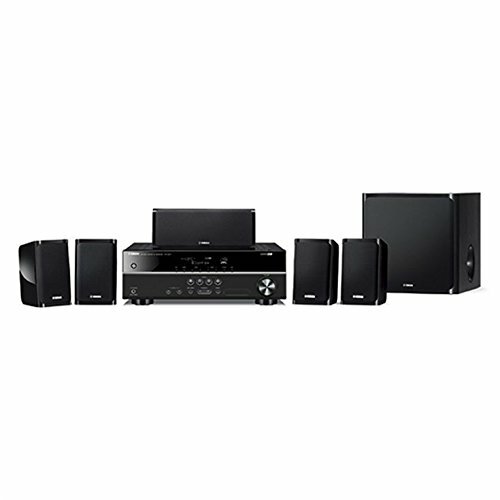 Sony HT-S700RF: For a movie buff who wants to enjoy theatre like sound effects at home, this is the ultimate home theatre. With high-end tallboy speakers, 1000W of power, an excellent subwoofer, its quality, simply put, is unmatched (Gather your friends, get some popcorn because you are in some real action). Mitashi BS-120BT: Looking for a decent home theatre system on a tight budget? The BS-120BT comes with a whopping 8500 peak music power output and is compatible with your mobile, PC, laptop etc. (all that, for less than Rs. 5,500, sounds like a bargain). If Bruce Wayne lived in India we are pretty sure this is the Home Theatre system you would find there. Why? Because it is just that freaking good. You want theatre like sound quality, right? So how does the HT-S700RF deliver that? Mainly with its 5.1 Dolby Digital Audi Experience that includes two 120cm tallboy speakers, sound bar and a bigger, badder subwoofer. Team that up with a 1000W power output, oh boy, this one is all ready to blow off the roof (trust me on that one). And to help you keep things tidy, all the wires neatly connect into the subwoofer (no more having to waste time untangling tons of wires). But the woofer is more than just a connector, it gives the best bass and with the high-quality speakers and sound bar, it truly re-creates the cinema experience. Furthermore, the speakers have a special diamond-shaped grill that maximizes aperture ratio to give you top-notch sound. But the home theatre isn’t limited to just movies. You can also connect your mobile via Bluetooth or USB or even your PS4 via HDMI for the ultimate music or gaming experience. Well, there is very little to fault about the Sony HT-S700RF except that it comes with a really high price tag. But if you like your movies and games as much as we at ProductExpert do, then I guarantee you, home theatres do not get better than this. From musical instruments to home theatres, Yamaha knows what goes into creating good and the Yamaha 1840 home theatre is just another example of why. The Yamaha to features the Dolby Digital Audi so you can experience the best 5.1 channel experience whether you are gaming, listening to music or watching a movie. It also supports 4K videos and HDR (High Dynamic Range) because the cinema experience isn’t just about the sound the about crystal clear and sharp images as well. There 5 compact speakers that can be placed anywhere in the room so as to create the perfect surround sound experience while the premium design adds a touch of class. And the woofer does what woofer does best, give you bass that is clear, powerful and ready to rock you off your seats. It also features a special ECO mode that reduces power consumption by 20%. But if the mode isn’t on and you forget to switch off the TV? Well, as long as you have the Auto-standby mode on, the home theatre will automatically turn off after 20 minutes to 2 hours of inactivity (just what the forgetful you and I need). There is also a dialogue level adjustment that allows you to adjust sound balance so you can hear the words more clearly. And lastly, to ensure the sound reaches to you the best possible manner without any distortion or quality loss during compression, the system has been equipped with the Compressed Sound Enhancer than uses algorithms to restore quality. The Yamaha system isn’t as durable as the Sony but nonetheless, way better than other youw\ ill find on the market. Plus, Sony has better after-sales service. Also, while the speakers are awesome, they do not have the range of tallboy speakers and thus need to be placed closer for better effects. Well, not all home theatre system will cost you a fortune and neither are all the cheap one’s poor quality just as evident from the Mitashi BS-120BT. 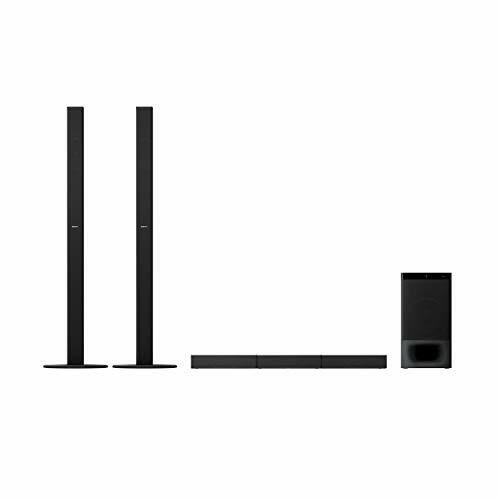 Did you know you can get 5.1 Dolby Digital Audio Home Theatre for less than 5,500? And that too not just any low-quality, low sound system. We are talking about one with a power of 8500-watts peak music power output (that is loud, really loud). And what really puts adds the bling to the ring here, are the 5 speakers and the 1 Subwoofer. The speakers can be placed on the ground, top (anywhere you feel like) as they are compact and light. On the other hand, the woofer will give you bass and treble that is sure to leave you with heart in the mouth during the climax or a horror movie. To allow you to enjoy your favorite music, it comes with an AUX input, SD card reader, USB etc. via your mobile, laptop etc. (because for many of us work or play, sad or happy, music is life). Furthermore, it also comes with a digital FM Radio so you can listen to more than your everyday playlist. 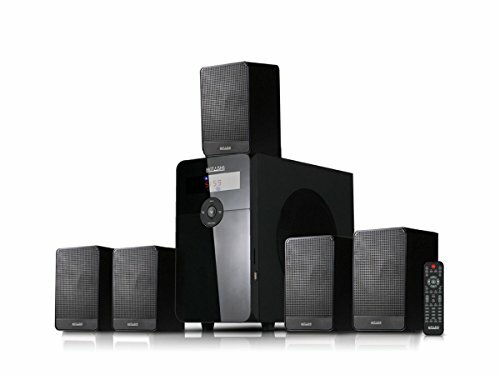 For a cheap home theatre system, the Mitashi is great but comparing but thinking of it as equal to the Sony or Yamaha in terms of sound & video quality and durability, well, that is almost criminal. You can connect your mobile via AUX, Bluetooth, USB etc. Who Should Use a Home Theatre System? Everyone who wants to improve the entertainment ratio in their home can heavily depend on a top-notch home theatre system. Thanks to its huge speakers and subwoofers, you can take your music listening and movie watching experience to a whole new level. What makes a home theatre system highly sought-after in most homes is that it doesn’t need a costly custom installation. It comes with wireless and wired speakers to give you the liberty of setting up the arrangement with regard to your preferences as well as the availability of your space. Sure, it is easy and quick to watch a sports game, movie, or television show, from your TV set, smartphone, or tablet. However, these convenient devices do not come close to offering exceptional listening and viewing experience of a home theatre system. Here, we will take a close look at the top 5 benefits provided by this innovative home unit. You no longer have to dress up, beat the heavy traffic, and save yourself from loud, massive crowds. With a home theatre system at hand, you can conveniently go to your entertainment room any time of the day or night. What’s more, you can eat whatever food you like while watching a flick! Watching movies at home rather than going out can help you save dollars in the process. Going to a movie theatre could be more of an occasional treat due to the expense and effort. On the other hand, having a home theatre system means getting the family together for a movie night or marathon multiple times a week without spending too many bucks. As have mentioned before, the most appealing feature of a home theatre system is its sound. This high-quality sound will provide you with a remarkable sound that will fill the whole room. Expect it to produce much more precise sound most especially in television and movies. Of course, don’t forget gaming! If you’re a video game buff, I’m certain that you will benefit a lot from a home theatre system. This can be your gateway towards an excellent gaming experience. Together with an improved entertainment experience, this unit can also increase the appeal and value of your home. This is part of the bigger trend of transforming extra rooms, basements, or additional garage area into higher-end space. What to Look For in a Home Theatre System? 5.1 and 7.1 are the standard surround sound layouts. If you have a smaller space, a 2.1 or 3.1 speaker layouts could work better for you. Make sure to invest in good-performance cables for a quality signal. The outside interference is gold plated and protected to give you a quality connection. If a system with a disc player entices you, look for a home theatre system with DVD/Blu-Ray Player. It ensures you have a great home theatre system. Wireless systems have a very clean and simple installation, besides allowing you to move the speakers into various applications. Wired systems, on the other hand, has better sound quality and is available in a comprehensive array of different speakers. There is no right or wrong sound quality. After all, people have different views on what sounds good. What will you choose depends upon your own preference. Other miscellaneous features include radio tuners, remote control, and build quality and function keys, among others. For small rooms, a home theatre system that utilises bookshelf-sized speakers might be ideal. While for a bit spacious area, you may opt for a 7.1 setup with a package that comes with floor standing or bookshelf speakers. Home Theatre-In-A-Box Systems (HTIB): Sold as one unit and comes complete with all the necessary setup and wiring instructions. Sound Bars: It is a thin, long bar commonly consisting of around 2-5 speaker units. Sound bars are designed to mount on the wall beneath the TV. A great space-saver. Component System: Allows you to but individual components separately. You can be able to mix and match a source component, separate speakers, and an audio/visual. Separate System: Built similar to the component system, though the power amplifier and preamplifier are separate to replace the A/V receiver. Take your home theatre into a higher level of enjoyment with the right home theatre system. Finding one that will work best for your taste and space is not that difficult – providing you have these guidelines in mind. Enjoy!